Sitecore launched their latest update for Commerce – Sitecore Experience Commerce 9 Update 2 which is out with some amazing features. As we know, Sitecore Experience Commerce 9 Update 1 – did not have any new features, but was mainly focused on getting a Stable release for Sitecore Experience Commerce 9, the feature included lots of issues resolved, which Sitecore Team had mentioned as Known issues for the Initial Release of Sitecore Experience Commerce 9 Initial Release. Sitecore Experience Commerce Update 2 is compatible with Sitecore Experience Platform Update 2. 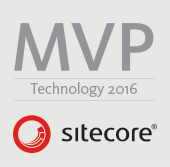 For more details, please check Sitecore Experience Commerce Compatibility Table. The update includes a number of Business Tools enhancements and updates, as well as StoreFront updates. Also, a number of issues that were faced by Sitecore Experience Commerce users have been resolved as a part of this release. 29722:An Entity ​Composer feature has been added that allows Business Tools users to add custom attributes to Catalog and other Engine entities. Entities are modified by applying new views. You can create and modify Views and save them as templates. 33073: Sitecore’s item publishing workflow has been extended to include the Commerce catalog system and can now be managed from the Business Tools. With this version, Sitecore has added Commerce reports for Experience Analytics and Experience Profile. 37733: SXA Storefront upgraded to SXA 1.7.1. 37884: SXA Storefront upgraded to use and support Knockout version 3.4.2. Storefront mobile responsiveness has been improved. Multiple fixes and improvements have been implemented to improve the experience on mobile devices using responsive design. A command line tool is now added to the dev.sitecore.net release download page that we can use it to migrate Catalog and Inventory data from the legacy Commerce 8.2.x Commerce Server system. Well, have a quick look at the full release notes here: Sitecore Experience Commerce Update 2 Release Notes.